This was a lot of fun and a fantastic adventure. Doctor Who meets space pirates – nothing better, right? I’d seriously love to see this one televised and I adored all of the characters in it, especially Kevin and Jimm! And ooh, that sneaky plot twist was fantastic. I really enjoyed this one! This is definitely one of the better Doctor Who novels that I’ve read. I so, so, so enjoy the stories with David Tennant in them (not just because he is gorgeous) because he’s such a complete idiot as a Doctor. There are so many silly moments in this one and Rose takes them gracefully in her stride – impressive given how many times she is almost killed! It’s a nice easy read and filled with all those wonderful “technical” terms (that are mostly just gibberish) that make you guffaw at the silliness of the Doctor. One of the best things about this book is that there are so many seriously loveable characters who I wish we could drag into other stories. The excitable little boy, Jimm, is such a sweetheart and I’d love to see his reaction if he ever got to fly in the TARDIS. But Bobb and Kevin were also fantastic, funny, witty, and clever. This book definitely has some enjoyable and fun characters, that’s for sure. This is obviously very important. Space pirates are a serious and awesome business. If you love your space-y-ness then you really get your dose of it here. 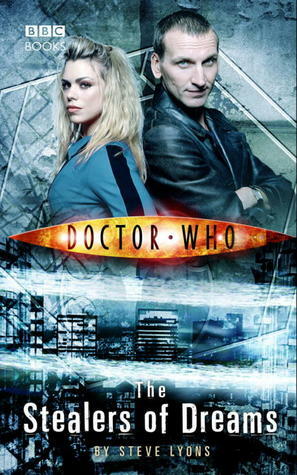 In this story the Doctor and Rose get stuck on the planet Starfall after entering the “zeg” – an atmospheric thing that stops any sort of technology working. On this planet, everything runs by steam engines (etc) and calls from some really quite impressive space ships and semi-robotic people (obviously). BUT of course there’s also some trouble. The Doctor finds that people are getting curse marks put on them and get visited by a particularly hairy and apologetic monster called Kevin and being ripped to pieces, *gasp*. But don’t worry, it’s not too scary because the Doctor is there with Rose to giggle and laugh at everything along the way and make it alright. 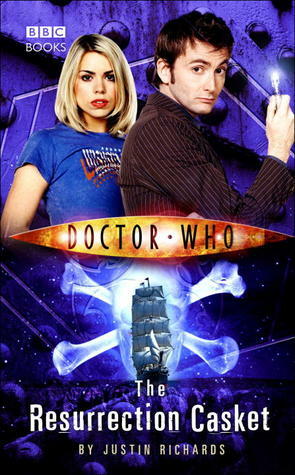 Rose and the Doctor spend this adventure trying to work out why people are dying, who everyone really is, and ultimately hoping to find the missing treasure on a long-lost pirate ship that was captained by a man named Glint. 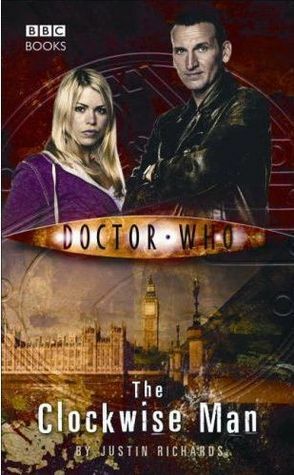 If you’re looking for a Doctor Who novel to keep you guessing then this is it. The thing that I super duper loved about this story was the plot twists at the end!! Things do head towards a slightly confusing area but thankfully we get a full low down on everything that went on so you won’t be left in a muddle by the end of it. Everything is explained and it twists your head completely around and you will almost definitely go OH! And that’s what makes a good Whovian story, yes? IN FACT! If you do watch the series and you enjoyed The Curse of the Black Spot then be sure to check out this one, mostly because they both have pirates in them (wasn’t that a fantastic episode, though?). The one thing I’d like to say about this one is that I’d love to see it on TV. I know that won’t happen (obviously because the cast has moved on now) but it really could be quite an epic one to televise. 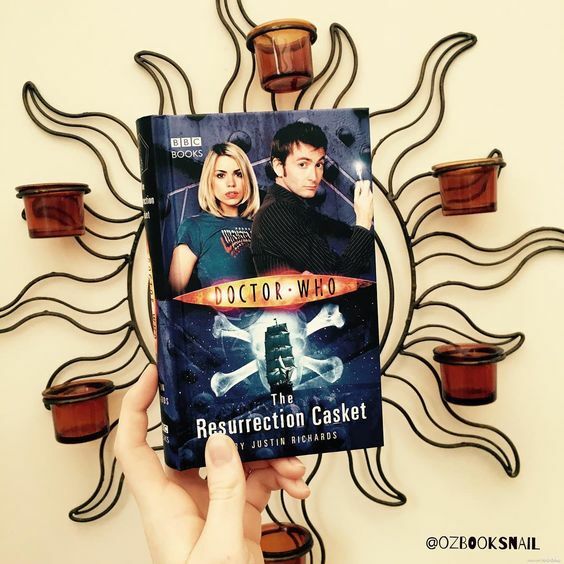 So if you’re a fan of Rose and Ten then definitely pick this one up! I mean, SPACE PIRATES guys. So I think that’s enough said – if you like Doctor Who, you like pirates, and you like space, then I’m sure you’ll love this. If you like Doctor Who stories with some intrigue and forbiddeness, The Stealers of Dreams is for you. 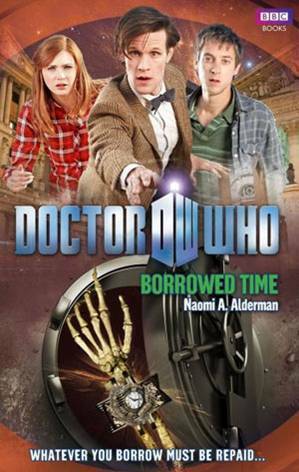 If you like Doctor Who books with serious timey wimey action going on and technological struggles, Borrowed Time is for you. If you like Doctor Who stories that dabble in the steampunk genre, The Clockwise Man is for you.